Craig Groeschel is an author that is quickly becoming a must read for me. There are some authors I love and will read whatever book they write just because I love their way of communicating. 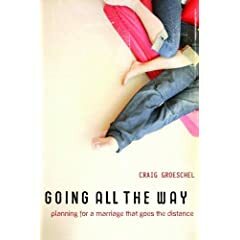 Craig Groeschel is one of those authors. His new book “Going All The Way” just came out and I can’t wait to read it. Chazown and Confessions of A Pastor are both great reads and what he is doing with lifechurch.tv is amazing. We all long for lasting relationships, get this book and find out some practical Biblical principles to make that happen! This entry was posted in blog, Catalyst, culture, family, leadership, ministry, personal, thoughts. Bookmark the permalink.